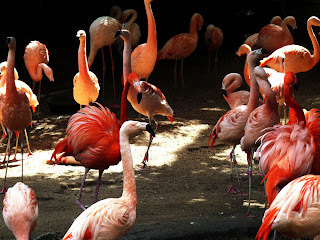 I have mixed feelings about going to a zoo. 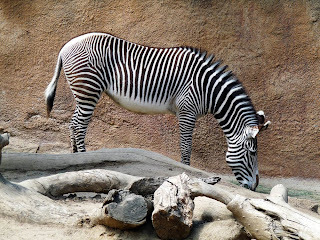 Yeah, it's great to see some animals that I would never see otherwise but some of the animals look so damn bored and depressed in their enclosures. I know the animal keepers try hard to achieve "environmental enrichment" but when the animals are adapted to the wide open grasslands of Africa, a large pen surrounded by a moat isn't going to feel like home. 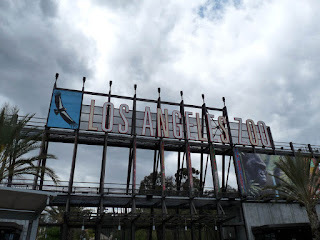 But I live very close by to the L.A. zoo and I was curious to find out how this zoo stacked up with the others that I have visited (San Diego, Miami, Toronto and um, the Las Vegas disaster). It was cold today. Mid sixties. I was thankful I was wearing a sweater. I guess my Canadian blood has become a little thin. The entrance fee was a very decent $12. 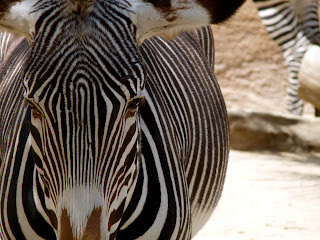 Zebras are really cool looking animals. They look like living optical illusions. 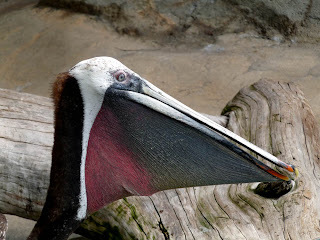 Pelicans. I've seen enough of them in the wild so they weren't very exciting. 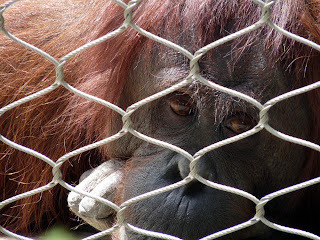 This was the saddest looking orangutan. I watched him for a couple of minutes and all he did was shift his eyes, not caring in the least about my presence. It may be a little anthropomorphic to say that he was bored but that's exactly what he looked like. Doesn't everyone love a meerkat? 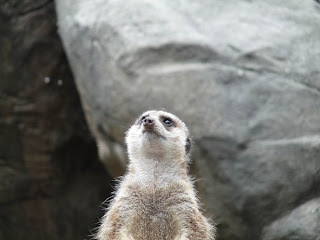 As the sign pointed out, a meerkat is not a cat but a member of the mongoose family. Learn something new every day. Some big thing with horns. Pink Flamingos is a great film made by John Waters starring the one and only Divine. If you haven't seen it, you should check it out. But don't blame me if you don't like it. For open minded viewers only! 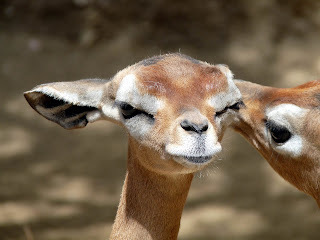 This was some sort of gazelle or antelope or deer or something. I'm sure a lion would find them very tasty. The chimps had a large exhibit. I'm no longer a fan after the recent attack on an old lady. She lost her face, including her jaw. 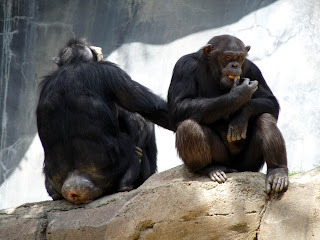 A couple of years ago, a chimp attacked a man and he lost his testicles. I'm really not sure which would hurt more. Losing your jaw or your testicles. These are the questions that keep me up at night. After a couple of hours, it was time to pack it in. Overall, it was a pretty good experience. There weren't any MUST SEE animals like a giant panda or (one of my favorites) a hippo but there was enough to keep me interested. 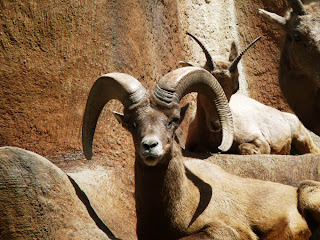 And the animals seemed to have a decent amount of space, depending on their needs.